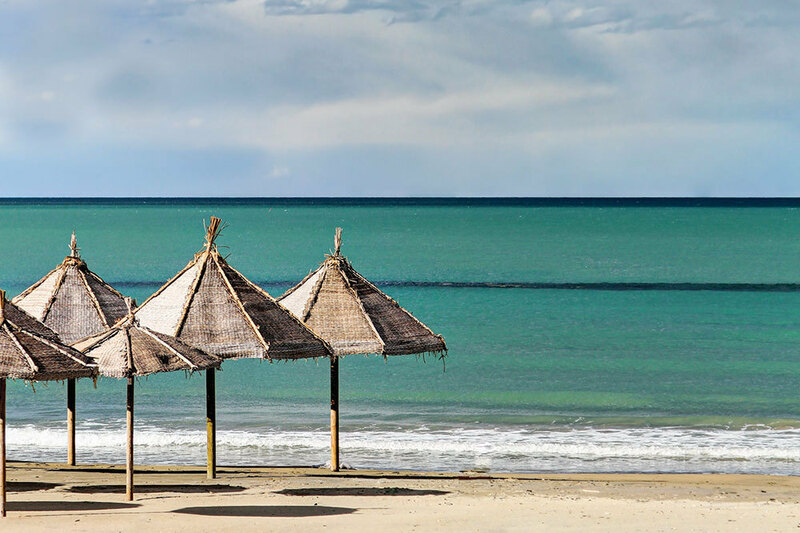 Two hours by car from Rome’s Fiumicino airport, Abruzzo is being discovered by connoisseurs of Italy who love its leisurely ways. The region does not yet have a luxury hotel of an international standard, but it does offer small properties of comfort and character. What makes them especially memorable is the Abruzzese tradition of hospitality. 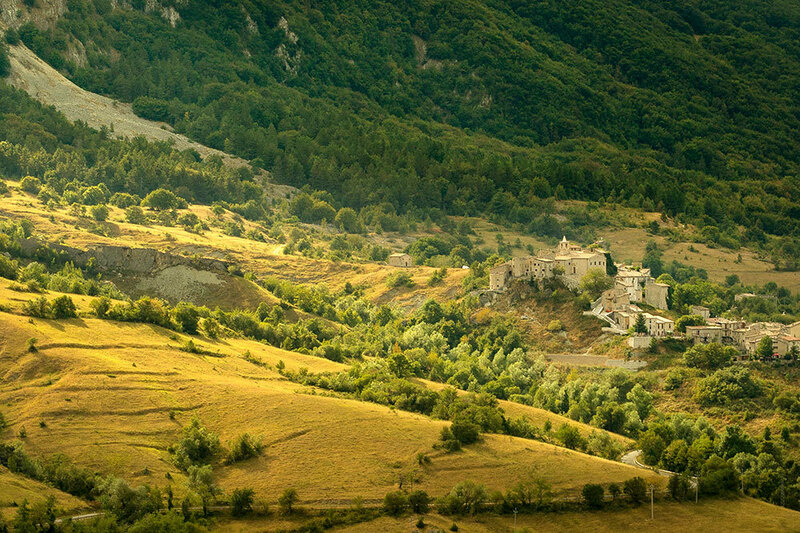 Abruzzo is a blissfully relaxing destination, in part because sightseeing duties are minimal. The pleasures of a trip are waking every morning to birdsong, admiring the routinely spectacular views and exploring the region’s superb cuisine during long, lazy lunches. But that’s not to say there aren’t some compelling sights. This 11-day itinerary provides an ideal balance of cultural, culinary and natural attractions, plus a little time to relax by the sea. 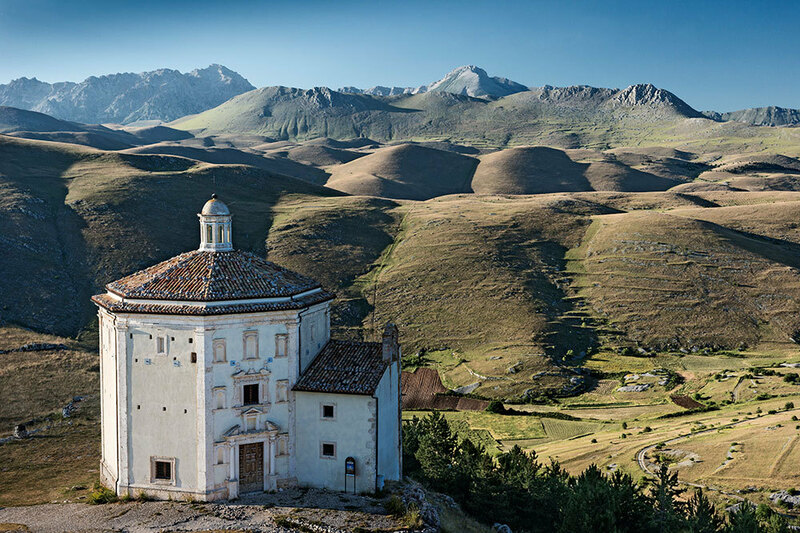 For our editor's full account from Abruzzo, see the August 2018 Hideaway Report. Our itineraries are for your inspiration. If you do not see specific departure dates listed, please contact Andrew Harper Travel to customize this itinerary to fit your needs. Arrive at Rome’s international airport and head into the city. Spend two or three days exploring Rome, a city of which I never tire, however often I visit. If you’ve already seen major sites like the Vatican and the Colosseum, so much the better. 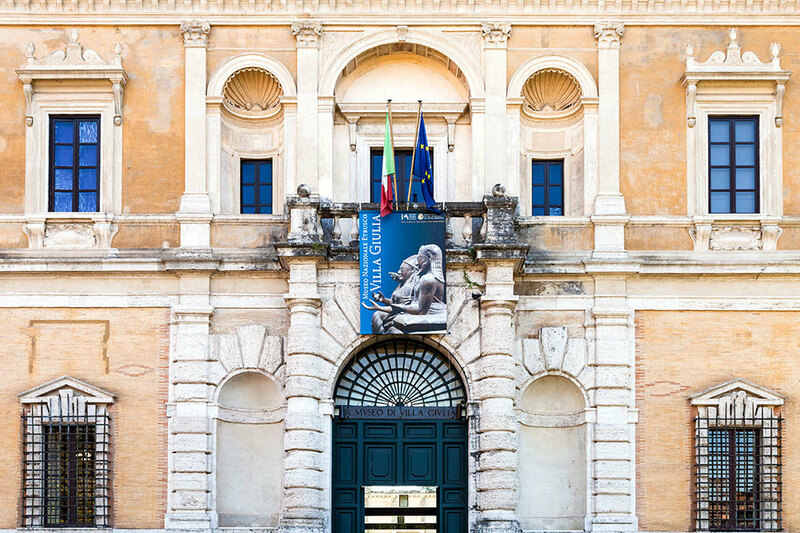 You can concentrate on crowd-free gems like the Borghese Gallery, the tickets for which must be reserved in advance, and the National Etruscan Museum, which has an astonishing collection of artifacts. Or focus on strolling and eating, my two favorite Roman activities. Rent a car or meet a private driver. 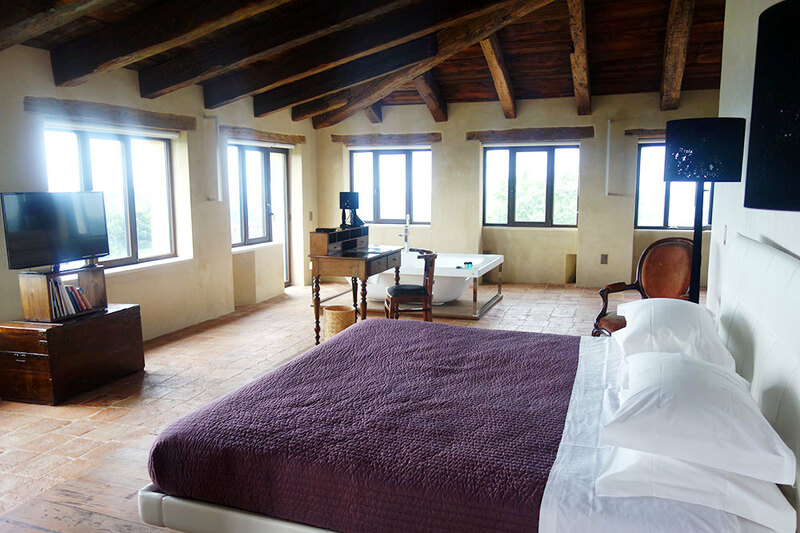 Drive two and a half hours to the Sextantio Albergo Diffuso hotel in Santo Stefano di Sessanio (be sure to get clear driving instructions in advance from the hotel). En route, stop to visit Tivoli to see Hadrian’s Villa and the Villa d’Este. 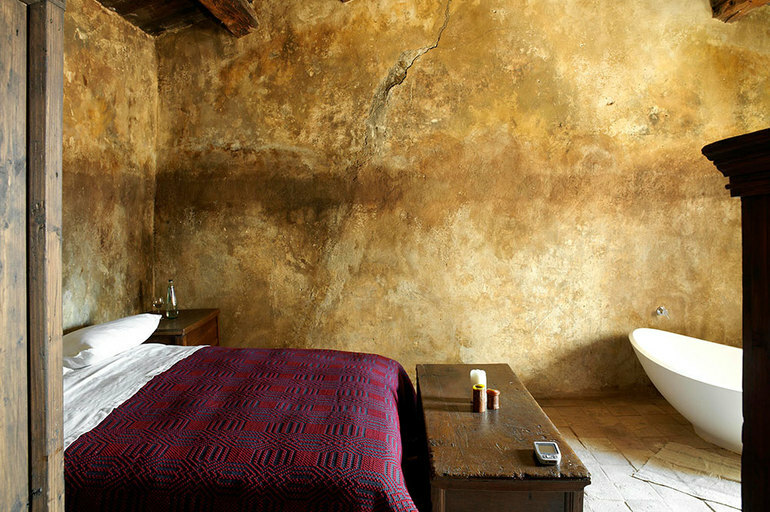 Check into Sextantio Albergo Diffuso, a hotel of 29 accommodations (no televisions or telephones) dispersed among formerly abandoned stone houses of an ancient village, inside the Gran Sasso and Monti della Laga National Park. Have dinner in the hotel’s Locanda sotto gli Archi restaurant, which serves traditional Abruzzese cuisine using time-honored recipes. Unique hotel located at an elevation of 4,100 feet within the Gran Sasso and Monti della Laga National Park in the fortified medieval village of Santo Stefano di Sessanio. 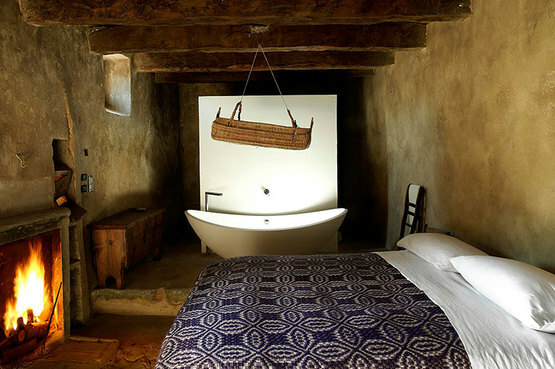 Spend a day enjoying activities at Sextantio Albergo Diffuso. 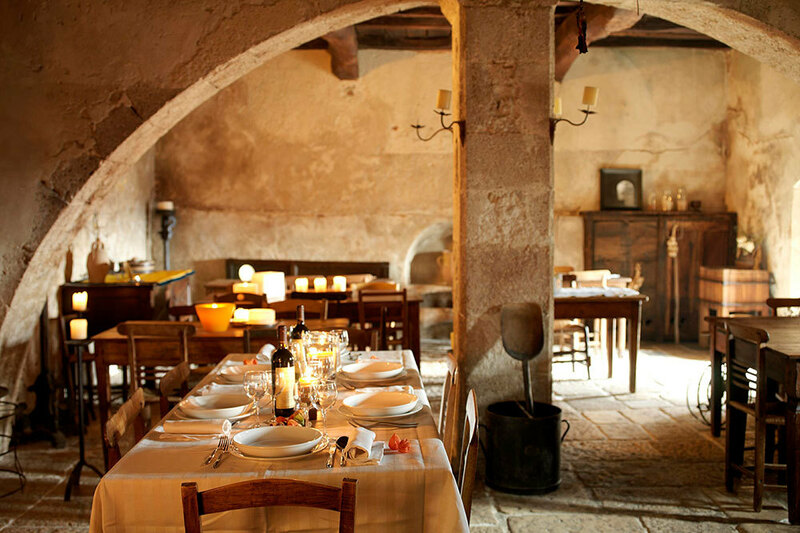 Perhaps take a two-hour cooking class (bread- and pastry-making classes are also available), and after lunch, have a tasting of teas made with local herbs in the tisaneria and a wine tasting in the cantinone, an ancient cellar. Today perhaps make a day trip to L’Aquila, 45 minutes to the west, to visit the fascinating Museo Nazionale d’Abruzzo. Have lunch in town, and circle back to the hotel through the Gran Sasso and Monti della Laga National Park. Alternatively, take a full day to explore the park, and bring along a picnic lunch prepared by the hotel. Depart Sextantio Albergo Diffuso and drive half an hour through the national park to the winery of Luigi Cataldi Madonna, the winemaker considered responsible for the revival of interest in Pecorino, which had been largely forgotten but which makes lively whites with refreshing citrus notes. From Capestrano, it’s about an hour northeast to La Bandiera, a wonderful family-owned restaurant set on a hillside outside Civitella Casanova that embodies the pleasures of eating in Italy. After lunch, drive another hour to the Castello di Semivicoli, an 11-room hotel housed within a 17th-century castle, which is part of the renowned Masciarelli winery. 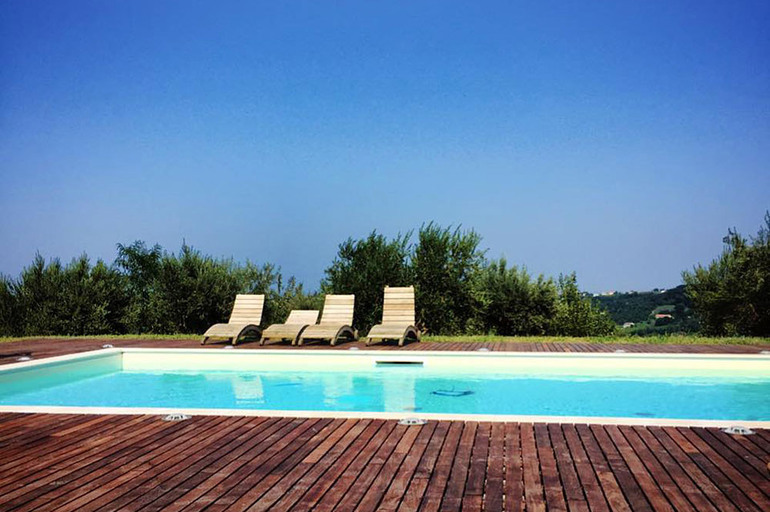 Set on a hilltop, it offers panoramic views of vineyards and Apennines peaks. The hotel has no restaurant, but it can arrange dinner if you request it in advance. Other fine restaurants, such as Villa Maiella, are within a 20-minute drive. 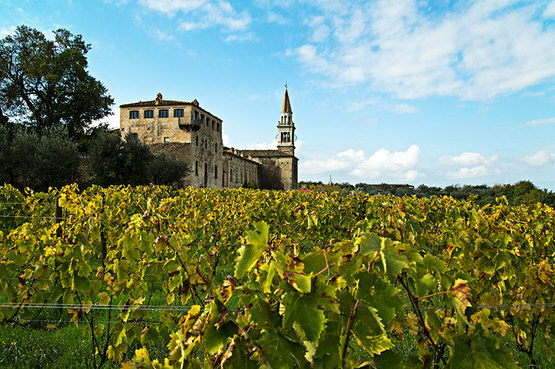 Beautiful hilltop hotel housed within a 17th-century castle, which is part of the renowned Masciarelli winery. Drive half an hour to Chieti to visit the Museo Archeologico Nazionale d’Abruzzo, which has a fantastic collection of Roman artifacts. Continue 20 minutes on to the lively, pastel-hued city of Pescara on the Adriatic Coast. Pescara is also well-known for its restaurants, many of them serving fish and shellfish. The best in town is Taverna 58, which specializes in traditional Abruzzese cooking. La Barcaccia is considered by many Pescarans to be their city’s best fish restaurant; otherwise Penelope a Mare is ideal for a casual seafood lunch on the beach. After lunch, you might visit the Museo Paparella Treccia Devlet, which has an eclectic collection of oil paintings, watercolors and local majolica pottery. But I recommend relaxing for a spell on the beach. The best club at which to test the waters is Ammiraglia, owing to its excellent restaurant. Return to the Castello di Semivicoli in the late afternoon. 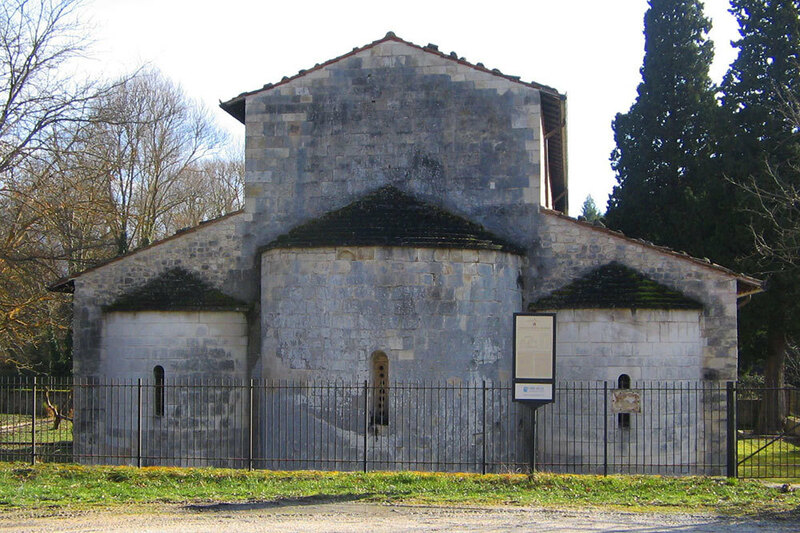 Take the better part of the day to explore the nearby Parco Nazionale della Majella, hiking or walking among its high meadows, waterfalls and forests. Alternatively, take another day to relax at the Ammiraglia beach club in Pescara. In the afternoon, return to the Castello di Semivicoli to do a wine tasting in the vaulted bar (make reservations for the tasting in advance). After breakfast, depart Castello di Semivicoli and turn back west. 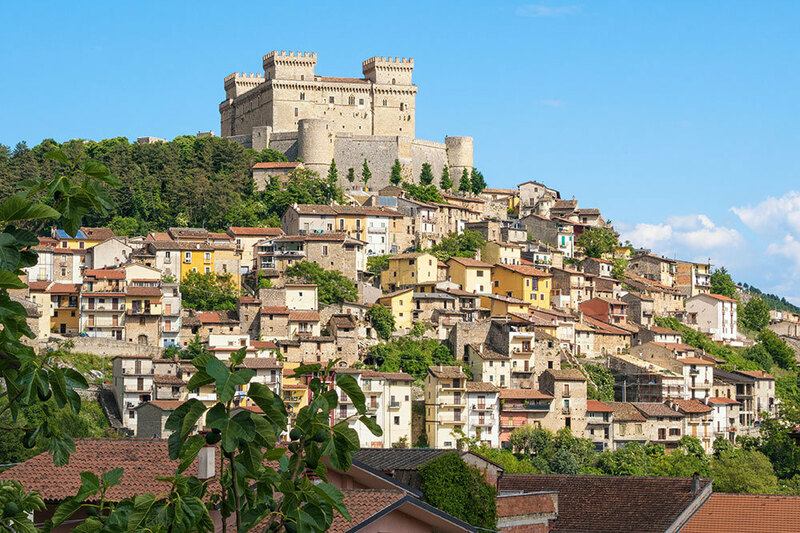 Visit Celano, home to the formidable 14th-century Piccolomini Castle, and the atmospheric medieval town of Tagliacozzo. In the latter, pause for lunch at the fine Ristorante La Vecchia Posta. Continue back to the Mediterranean coast (about three and a half hours total driving time from the Castello di Semivicoli), and check into La Posta Vecchia Hotel, a lavishly restored 17th-century villa (once the vacation retreat of J. Paul Getty), built amid archaeological ruins in a 15-acre park overlooking the Mediterranean. It’s the perfect place to relax on your last afternoon and evening. Have dinner at the hotel’s superb restaurant, either in the vaulted dining room or on the panoramic terrace. 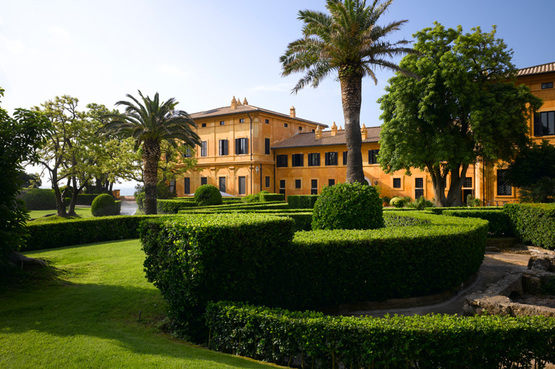 This lavishly restored 17th-century villa (once the vacation retreat of J. Paul Getty) built amid archaeological ruins in a 15-acre park overlooking the Mediterranean is located about 45 minutes northwest of Rome. Drive about 40 minutes south to Rome’s airport, return your rental car and depart. Contact an Andrew Harper Travel advisor to book your custom itinerary.